“Everyone Knits!” a solo knitting themed art show goes up February 1st at Southeast Grind. Opening: TBA later. 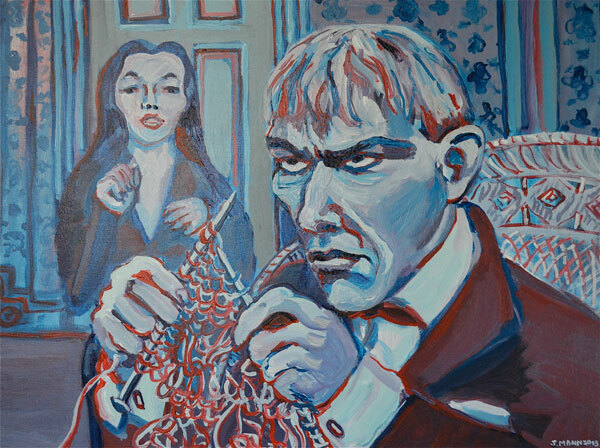 “Lurch Knits” is loosely based from an actual photograph of real knitting from the Addams Family Television show.